Money Q&A: Can you explain the new rules on financial advice? Q: Can you explain the new rules on financial advice? A: Yes, since 31 December 2012, independent financial advisers now have to follow much stricter rules on their level of qualifications, how they charge you for their advice and also be much clearer on whether the advice they give is truly independent or is linked to a company selling financial products. The new rules only relate to the sale of ‘regulated’ retail investments, such as life policies and pensions. It does not relate to cash savings products, general insurance, protection insurance or mortgages unless they are linked to a regulated investment product. 1. Independent advisers will no longer be able to receive commission from the companies whose products they recommend, meaning that any advice they give you is hopefully unbiased. 2. Advisers will have to set their own fees, based on the services they offer, and agree fees with you before providing any service. 3. 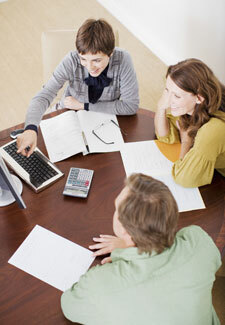 Advisers will not be allowed to earn ongoing commission on any new products they sell. But they will generally be allowed to keep earning it on products they have sold before the end of 2012. 4. All advisers will need to be qualified at Level 4 or above of the Qualifications and Credit Framework (about the same as completing the first year of a degree). They will also need to obtain an annual Statement of Professional Standing (SPS). This confirms that they are suitably qualified, that they subscribe to a code of ethics and that they have kept their knowledge up-to-date through continuing professional development. These new rules are all designed to protect you and to ensure the advice you are given in these cash-strapped times is the most sound and relevant to you and your needs as possible.